Bored of the usual windbreakers, denim or leather jackets? Unsure of what to wear for spring? This summer, why not give the kimono a try? 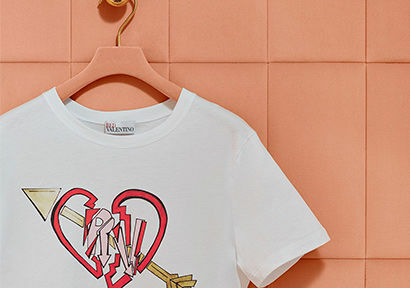 This season, REDValentino gives the traditional Japanese garment a makeover, through the introduction a ‘boxing robe’ silhouette and a series of tattoo-like embroideries and patches which detail the back of the silk satin garment, and give it an old-school urban edge. 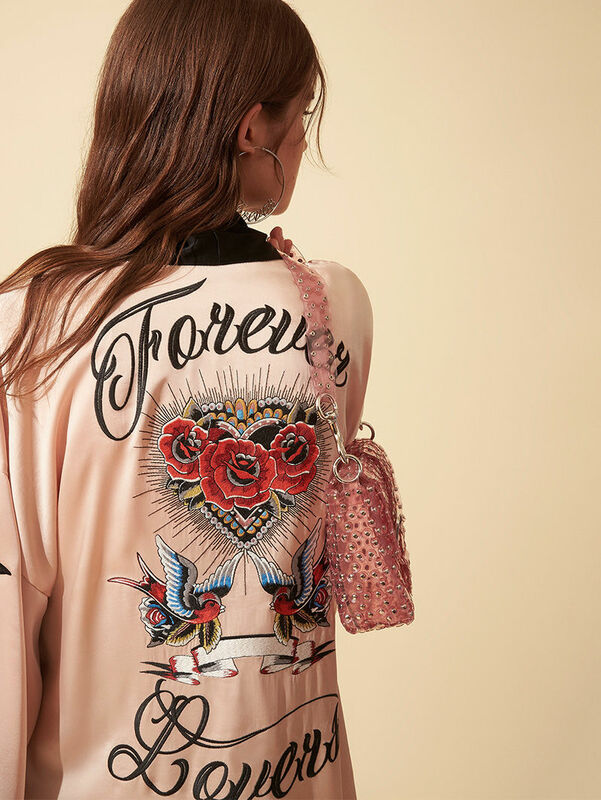 Featuring embroidered stars on the sleeves and the ‘forever lovers’ quote, this season’s robe is undoubtedly the chicest choice for all of the hopeless romantics out there. As light as a feather, yet the perfect pick me up for a night-time cover-up, REDValentino’s kimono can be styled over anything, from a t-shirt and a denim skirt to a light romantic dress. Whatever you wear it with, REDValentino’s kimono will give any outfit a touch of eccentric originality.